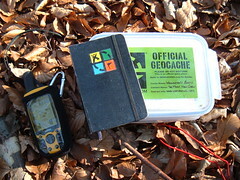 I went out at about 4:30pm today to do a little more geocaching. 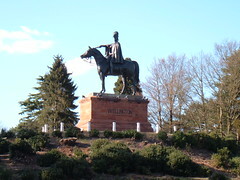 The first attempt was Wellington's Booty, in Aldershot. The waypoints for the clues were a bit off, but the clues were so obvious it did not matter. The final cache was pretty easy to find. 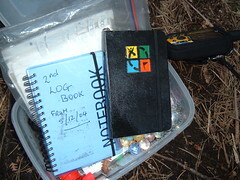 This was my fifth cache, and my first multistage cache. Then I tried for the Roundabout Ramble in Farnham. This is a frustrating one, it's a small cache and so hard to spot. I must have been inches from it! It's a fairly simple one to revisit though - one can park directly on the roundabout (it has houses and a pub on it) and get to the cache location via an underpass. Finally, I went up to have a go at Army Manoeuvres. I found this one without problem - though the hint was useful! All in all, I was out for a few hours - and got 2 of 3 caches. The one I missed was a second attempt. I'll watch the geocaching website, and when someone else logs a find (so that I know it is there) I shall have another go.